We’ve definitely heard it all before: the world is getting fatter; we need to exercise more and eat more vegetables. But, unfortunately, none of us seem to be listening. In the UK, 64% of adults are considered overweight or obese, whilst the amount of teens and children admitted to hospital for obesity-related conditions has increased by four-fold in the last decade across England and Wales. And amidst countless cries, campaigns and ‘take-a-look-at-yourselves’ reality television series, it seems that this proportion still insists on growing. If we know how dangerous being unhealthily overweight is, why does this epidemic continue to plague us? Surely there is no food on Earth that tastes good enough to account for a health risk so severe? Whilst problems relating to food are deep-running, complicated and many-fold, one of the base issues is the very ways we think about food and food culture in the first place. It takes gargantuan amounts of work, a steely will and above all, plenty of time to turn your lifestyle around. Working to change these four commonly-held attitudes towards food won’t drop you neatly atop a clean bill of health, but will definitely help you construct the mind frame you need to take control and implement the changes you need to. 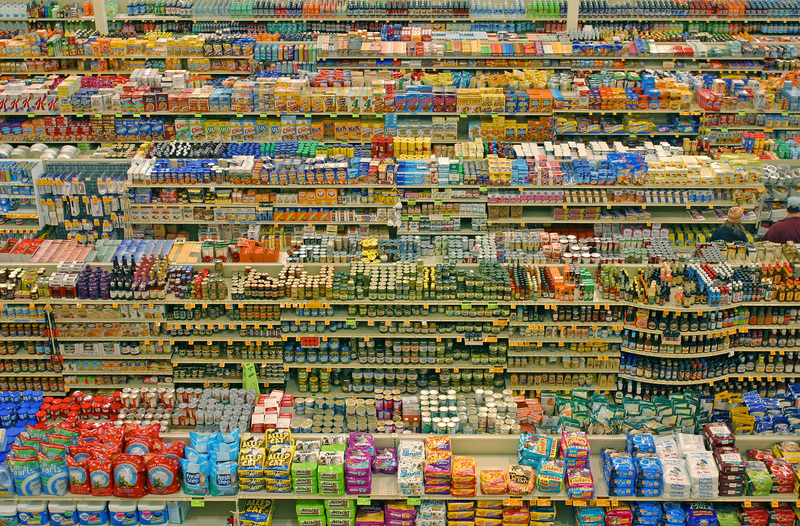 When it comes to food choices, we’re spoiled rotten. The epitome of convenience, we stroll down supermarket aisles and casually drop ready-to-eat, packaged and portable goods into our basket. It’s almost too easy. This ‘easy come’ attitude is unfortunately, inevitably chased by one of ‘easy go’. When acquiring ready-made, tasty food becomes simply a given, the value of the food product itself goes down in our minds. With a seemingly infinite supply, we don’t feel bad about excess, wastage, and over-consumption. This needs to change. Food is a commodity, and fashioning it into the products we buy is a process that takes up plenty of resources. On top of that, food is a chemical fuel we use to nurture our bodies. If we see it as something dispensable that’s just there to satisfy our immediate wants and needs, we start to feel comfortably over-entitled to the quick buzz that follows eating a chocolate bar. Or seven. Our fear of not being whatever ‘skinny’ is in a complete and poisonous issue onto itself. Diet culture, the quick-fix gateway to what we imagine is higher self-esteem, toys with our fear of being ‘fat’ and ‘ugly’ and prevents us from thinking rationally about what we’re eating and how it’s ingredients will affect our mental and physical health. When we’re stressed, we don’t think clearly. If someone tells you that they can answer your body image issues in no time, provided you drink nothing but protein shakes for two short weeks, in your desperation you’ll say yes. But, in the long run, fad diets and the diet culture that rationalizes them cause far more harm than good. Firstly, and foremostly, when you starve your body it goes into survival mode. That means it digests food slower, and so slows your entire metabolism. Not to mention the acutely negative effects on your mental health. Eventually, higher proportions of the food you eat will be stored as fat because you’re body isn’t sure when it will next get the nutrients it needs to function. Perceptions of this effect are often sadly eclipsed by the primary impacts of not eating enough, so the dieter feels on a surface level that what they’re doing is ‘working’. In reality, you’re subscribing to fear, and punishing your body and mind because of it. The only healthy way to lose weight is to change your lifestyle. Exercise more, cut out processed, saturated fats and refined sugars. Make an effort to learn more about the food you eat: maybe even take a cookery course, ask an expert or read up on nutrition in your spare time. It’s tough, but in the end, what you’ll need to do to get where you want. The food industry is, after all, a business. Fat and sugar are flavour enhancers, and if a company can produce something that tastes good and makes their customers feel good (albeit temporarily), then it sparks interest and creates a market. If it’s easy to buy and readily available, there’s even more chance someone will buy it. Gratification is incredibly addictive. The quick, chemical rush we get from eating something tasty is akin to a sort of ‘high’. It’s that same idea of a quick, easy fix: whilst we’re eating we feel good, and when it’s over, we don’t anymore. On a base level, rudimentary logic then suggests to continue eating to keep the feeling going. Only, we’re constantly left wanting more, and are eventually overridden by lethargy, guilt, and a heavy fullness that usually translates into a bloat. We need to train ourselves to think on a more lateral plane. In focusing on the instant buzz we get from a block of chocolate, we’re ignoring all the sensory possibilities inherent in conjuring up a healthy meal. It might take a bit longer and work out slightly more expensive, but we’re celebrating and discovering fresher food flavours, whilst learning to better appreciate (and enjoy!) the food production process. What we do is inherently driven by emotion. After a long, hard day or particularly difficult time, most of us will seek some kind of solace in the sensations wrought from an indulgent snack. Whilst it’s fine to eat a bowl of ice-cream after a bad day, too many take this as an excuse to binge eat—and, worse—then get trapped in this routine. Soon, they’re unable to snap out of it, and their self-esteem sadly continues to slide. Stress is one of the biggest reasons why people comfort eat. The foods commonly chosen, such as chocolate and biscuits encourage production of serotonin, the hormone in our brains that makes us feel good. Again, it’s that desperate idea of feeling better as fast as possible, without thought to how it will make you feel once the ice-cream tub is empty. It might sound harsh, but binge eating will not fix your problem. It won’t remind your boss how valued an employee you are, tell your ex to take you back or recall the embarrassing text you sent earlier. It’s a small comfort, which is fine, as long as it’s taken in reasonable quantities.